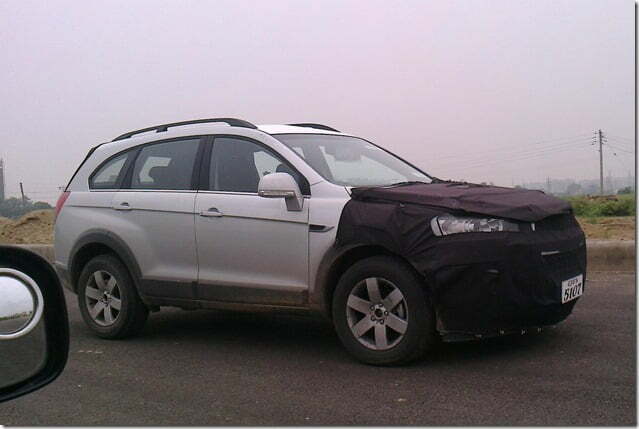 Chevrolet India (General Motors India) has not been talking about any timeline for the launch of the Chevrolet Captiva 2012 SUV in India, but industry experts speculate that it it quite close. The new facelifted Chevrolet Captiva 2012 is much needed in the middle of dull sales of the existing Captiva due to stiff competition from rivals like BMW X1, Toyota Fortuner etc.. 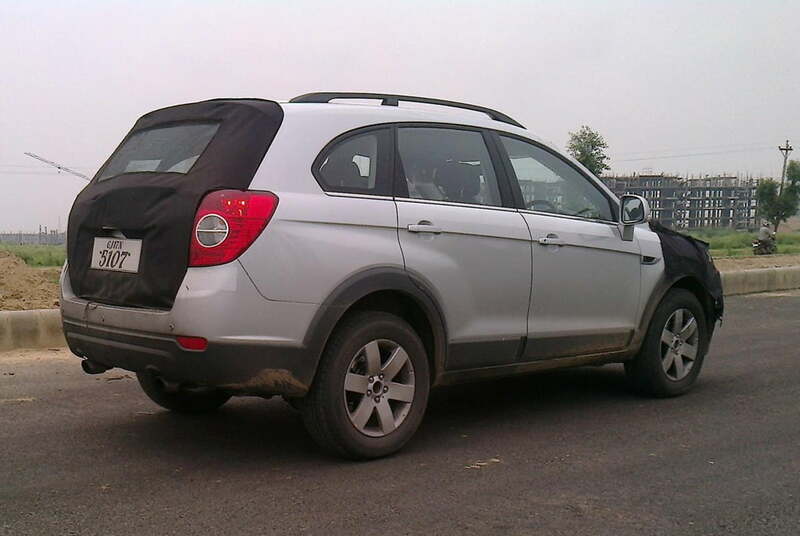 This time, a facelifted Captiva has been found testing near Gurgaon in India which is an indication that the tests are on and the launch may happen in this financial year. Most likely, the Auto Expo 2012 will witness the launch of the new Captiva in India. The new Captiva will feature a more powerful turbocharged CRDI diesel engine which is expected to be more fuel efficient engine as well. Many new and interesting feature like hill climb assist, ESP, traction control and more are expected on the new Captiva apart from the cosmetic upgrades on the exteriors of the car.